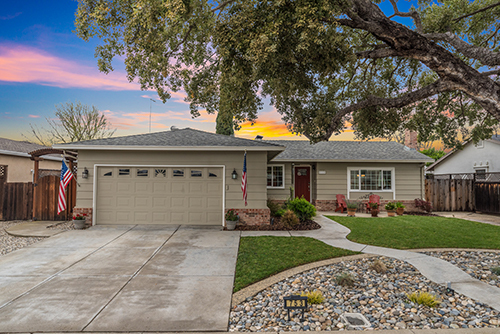 Located on the Western side of Livermore, these homes were built by Hoffman Homes between 1968 - 1976. Homes range from 1,300 - 1,800 sq ft of living space with open floor plans. The average lot size in the Tempo neighborhood is between 8,000 to 10,000 sq ft. This neighborhood has no HOA fees. Max Baer Park (11.8 acres) is located next to the neighborhood offering a sports field, barbeque pits and picnic tables where you can enjoy great summer evenings. There is a dog park too! Children living in the neighborhood attend Smith Elementary, Mendenhall Middle School and Granada High School. The location offers easy access to both 84 and 580 freeways ideal for the commuter. You'll also love the convenience of great shops, schools, restaurants and wineries minutes away in Livermore.